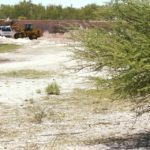 THE community of Iiheke ya Nakele in Uukwambi tribal area in the Oshana Region wants the area protect to preserve underground fresh water at the site. Iiheke ya Nakele is situated about 15 kilometres west of Oshakati. Community members are not happy with the way sand is being mined illegally and shipped out without any tangible economic benefits for the surrounding community. Good quality sand at Iiheke ya Nakele has been a bone of contention for many years between illegal sand miners and the Uukwambi traditional authority on one hand and community members on the other. 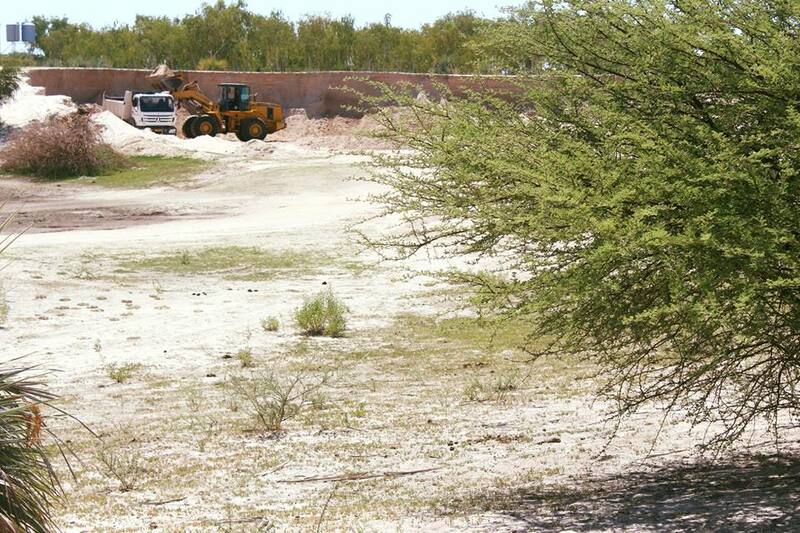 It is alleged that headmen of Ekamba and Onenongo wards have consistently failed to give adequate answers to the community regarding sand mining operations at the Iiheke ya Nakele site. It is further alleged that legal procedures are not followed and the sand mining appears to benefit only a small group of individuals. Community spokesperson Lukas Nantanga said that the community wants the area to be protected and to ensure that it becomes a conservancy. This idea was born after fresh water was discovered at the site. “Namibia is a dry country. Conserving and protecting a site of this nature is a prudent idea,” noted Nantanga. Furthermore, the area has been historically significant to the Namibian Nation due to its natural fresh water resource particularly during dry seasons. The water resource is in the form of a spring of over 3-4 kilometres wide. “The Iiheke ya Nakele has been famous from time immemorial because it has been the source of fresh water in its surrounding radius of 25 kilometres or more for humans, livestock and birds,” he added. Nantanga stated that the area is important scientifically as well. The community also complained of illegal sand mining causing destruction at the area, with their headmen silent on the matter, they stated that the operation has been going on and on despite the very strong community resistance. According to residents, as members of the community they are not against sand mining, however, they are against the sand theft and unsustainable practices regards utilization of this very natural resource. They stated that the contemplated conservancy idea should be carried out in accordance with the National Heritage Act of 2004 (Act No.27 of 2004). Due to its environmental uniqueness the Site is required to be protected for the benefits of the present and future generations, as article 95 (l) of the Namibian Constitution demands. Adding that Iiheke ya Nakele requires protection by law. It requires to be accorded a Conservancy status in accordance with the National Heritage Act of 2004 as it contains one or more specific natural features which are of outstanding inherent rarity. Ministry of Environment and Tourism’s public relations officer, Romeo Muyunda, said such a discovery has potential for tourism development in the area. However, the Ministry encourages the community to take up issues of illegal sand mining with the regional office near them or the nearest police station to ensure compliance. Any developments or economics activities which are listed under the Environmental Management Act should not be undertaken without an Environmental Clearance Certificate. They community were advised further that any development around this discovery should obtain an ECC.